Pope Francis celebrated Mass in the chapel of the Casa Santa Marta in the Vatican on Tuesday morning. 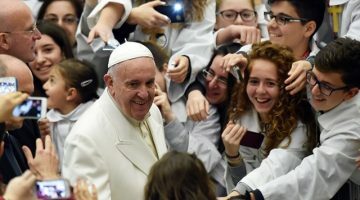 Commenting on the readings of the day, the Holy Father offered four models of the believer, with a view to developing his reflection on the nature of Christian witness. In the First Reading, from the Book of Samuel, Pope Francis explained that the figure of Eli, who disparages the humble lady who prays after the simple manner of the common people for the gift of a son, represents the “salesman” or “manager” of the faith – a tepid priest whose heart wasn’t really in it. Eli’s sons, explained Pope Francis, represent a third model of the witnessing believer. “They were brigands,” he said, “they were priests, but [they were also] brigands,” who chased after power and money. They exploited the people took advantage of alms, gifts – and the Lord punishes them powerfully. 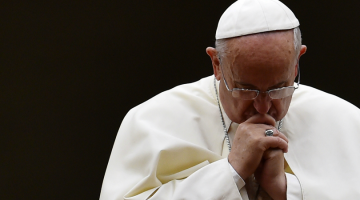 The Holy Father explained that the sons are figures of the corrupt Christian – like Judas – who betrays Jesus.